This 5 guest room luxury B&B, previously a 501(c)3 charitable entity, hosts guests and events on nearly 16 acres of green pastureland, barn, pond, pool, and luxurious comfort! The Huffington Post named the Horse Stamp Inn, near Jekyll Island, as one of the best country wedding destinations in the United States. Waverly, Georgia, B&B and Wedding Venue Purchased! 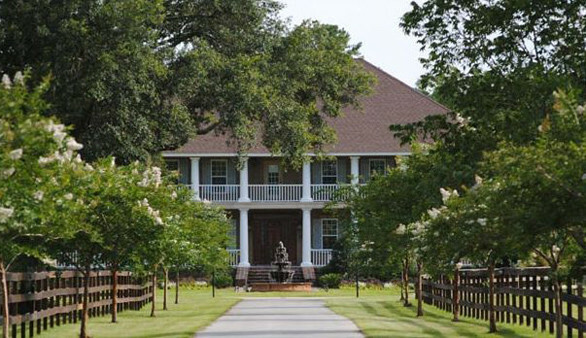 Bushnell & Bushnell/The B&B Team is proud to announce the purchase of the Horse Stamp Inn Bed & Breakfast and Event Center in rustic Southeastern Georgia., to Pam and Tim Ahrens. Congratulations to All! The Ahrens are 2016 graduates of Bushnell & Bushnell’s Better Way to Learn Innkeeping aspiring innkeeper seminar in Ohio and originally hail from Sheboygan Falls, Wisconsin, where they both worked for the Kohler Company. Pam was a training manager for Kohler’s hospitality and real estate business and Tim was a manager of Learning Technology & Analytics. Scott & Marilyn Bushnell worked with Pam and Tim for this purchase.